Voucher codes are really popular online. Indeed, there are 2.5m searches for phrases including “voucher codes” on Google each month; that’s one person every second, before we even begin to count the people looking for “discount codes” or “save money codes” and so on. It seems we are all keen on saving some cash. Big stores online, like Amazon, are also keen to offer us discounts, showing us what we would have paid if we were paying full price and how much we are saving “thanks” to their discount. But it is all in vain. It turns out that discounts are only of value to us when we can instantly get the product for which the voucher applies. Traditionally, when you had a paper voucher in your hand, you took it to the local store and handed it in when you paid for your goods. You instantly saw the price drop on the cash register and you also felt good because you walked out of the shop with an item that you had not paid full price for. But consider what happens online. You get a voucher code, you go to a website and you order your item, entering the code to get your discount. You are happy – for a minute or so – that you have lowered the price in the shopping cart, so you pay the bill and wait. And wait. And wait. Even if you use something like Amazon’s Prime service you have to wait up to 24 hours to get your hands on your discounted item. By the time the product arrives you have forgotten the discount. In one experiment in recent research psychologists found that people rated a discounted orange juice much more highly when they were able to drink it immediately after using a discount voucher. But waiting for just 15 minutes eliminated that effect and the consumers gave the juice the same kind of ratings as people who did not receive the discount. 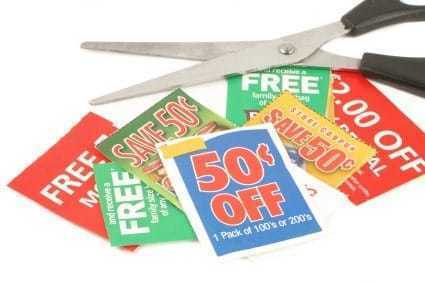 In other words, discounts and voucher codes only work when customers gain instant gratification. Sure, they may help people make that buying decision and help increase conversion rates – but afterwards the impact of that discount is removed. People do not rate your business or products any greater than if they did not get the discount. Online voucher codes clearly work well when people can get their item instantly, such as in digital downloads like ebooks, music, videos or software. But beyond this the voucher appears to have limited value on the overall feeling that people have for your product or business.